Some researchers have concluded that eating chocolate can help in reducing the risk of certain Cardiovascular Problem. Lower Blood Pressure: Dark chocolates help in reducing blood pressure in both overweight & normal adults. And, studies have shown that individual having high blood pressure can reduce the problem with the consumption of small bar of dark chocolate every day. Lower Cholesterol level: In adults, dark chocolate helps in reducing the level of cholesterol. Some researchers have given few evidence that polyphenols in chocolate might slow down the oxidation of LDL cholesterol by up to 10 percent. Cocoa in chocolates helps to reduce stress hormones, which means less collagen breakdown in the skin and as a result fewer wrinkles. Chocolates also help in boosting up the Cognitive Abilities. Chocolates stimulate endorphin production, which enhance the feeling of pleasure. 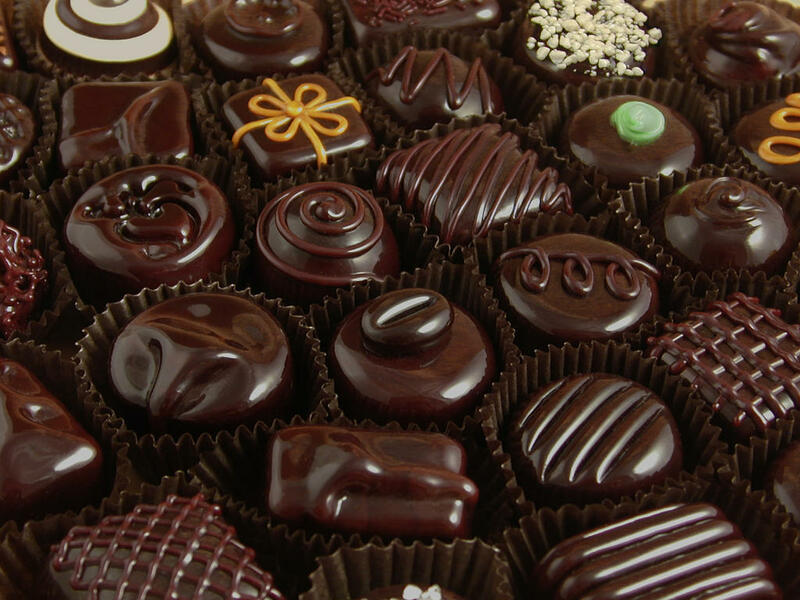 Presence of Serotonin in chocolates acts as an anti-depressant. Flavonols (i.e. the type of Flavinoids found in chocolates) helps in protecting skin from UV damage. Also, helps in improving skin hydration and thickness. Eating chocolates also help in doing math or also at least in counting. Chocolates also ensure the anti-cancer benefits because of presence of Flavinoids, which reduce the cell damage that can spur tumor growth. As we discussed about the benefits of consuming chocolates which adds the advantages but still you can hardly find the advantages from chocolates which varies according to their ratios of ingredients. Researchers provided few indications regarding the portion matter of the cocoa in the chocolate and the amount of chocolate to be consumed, which says two to three ounces of dark chocolates with 70% or more cocoa a week is beneficial. According to Katherine Tallmadge a registered dietician and spokesperson for the American Dietetic Association, “More and more research is showing the advantages of consuming chocolates. The advantages associated are may be little but even those little advantages can make a difference for some people”.